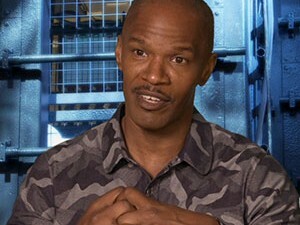 Jamie Foxx describes how excited people around him were when he got to play Electro in The Amazing Spider-Man 2. He also goes into what a thrill it is on the set when Andrew steps out in the Spider-Man suit. Jamie explains that when establishing how Spider-Man and Electro became enemies he pushed for there to be a back story between the two to give it some weight. He describes Electro as simply wanting to be heard and feels Spider Man is in his way.